According to the Greeks, the gods were forever doing geometry. It has always occupied the human mind and dictated the environment we have created for ourselves. 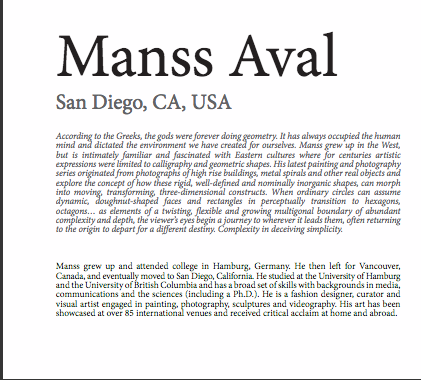 Manss Aval grew up in the West but is intimately familiar and fascinated with eastern cultures where for centuries artistic expressions were limited to calligraphy and geometric shapes. 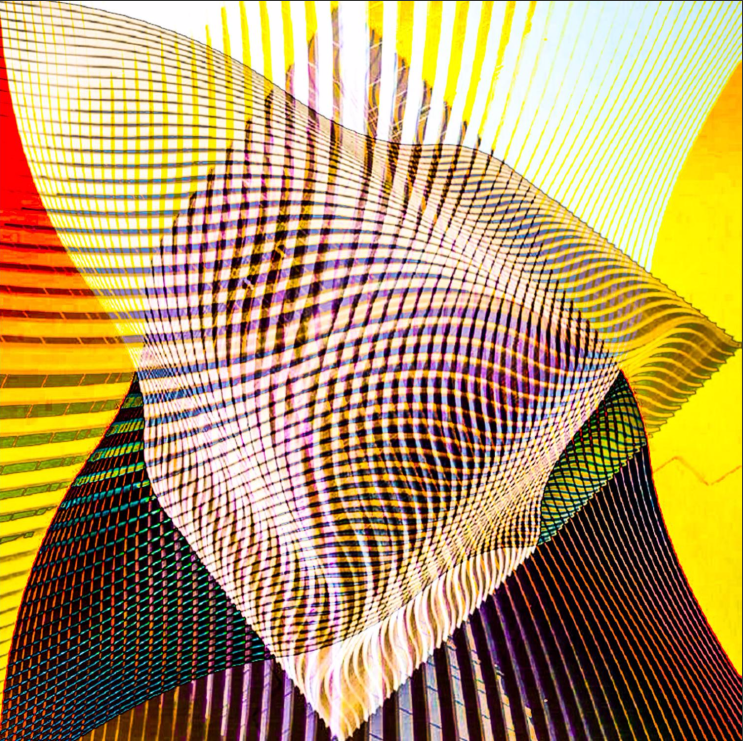 His latest painting and photography explore the concept of how these rigid, well-defined and nominally in organic shapes, can morph into moving, transforming, three-dimensional constructs. When ordinary circles can assume dynamic, doughnut-shaped faces and rectangles in perceptually transition to hexagons, octagons…. As elements of a twisting, flexible and growing multigonal boundary of abundant complexity and depth, the viewers eyes begin a journey to wherever it leads them, often returning to the origin to depart for a different destiny. 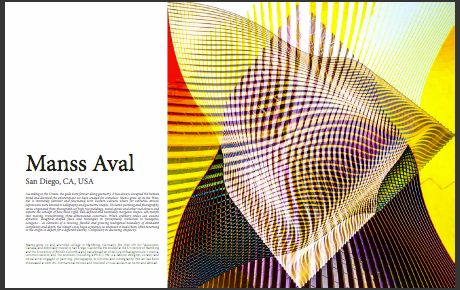 To check out the full spread on Manss Aval and his work, visit Art Reveal Magazine, view pages 6-11.